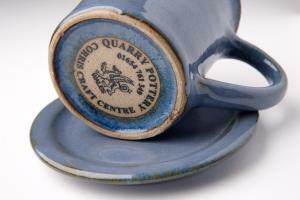 Corris Craft Centre01654 761584work Craft CentreHome to 9 craft studios and the resident designer-makers. Find unique items handcrafted with care for your home, garden and gifts for others: rustic furniture, glassware, candles, chocolates, herbal lotions and remedies, jewellery, pottery, traditional wooden toys and artisan gin are all handmade right here. There's lots of opportunities for hands-on fun too including pottery painting, candle dipping, chocolate making and furniture building. At the centre of the Craft Studios is Y Crochan cafe where delicious local produce is used across the all-day menu. Look out for the monthly specials featuring fresh seasonal and local produce. There's an outdoor seating area and a small childrens' play area. Opportunities for hands-on and fun activities. Home to 9 Craft Studios, you can browse and find unique hand made crafts or have fun making your own clever creations in many of the studios. Home to 9 craft studios and the resident designer-makers. Find unique items handcrafted with care for your home, garden and gifts for others: rustic furniture, glassware, candles, chocolates, herbal lotions and remedies, jewellery, pottery, traditional wooden toys and artisan gin are all handmade right here. Linked via an archway from the cafe is Bwtri Y Crochan a Welsh Food and Drink shop where you'll find shelves of mouth-watering produce which has been grown, reared and produced often within a few miles of Corris. The Craft Centre is also the starting point for the King Arthur's Labyrinth underground adventure (winner of the Best Visitor Attraction in Mid Wales 2018), Lost Legends of The Stone Circle and the Corris Mine Explorers trip. There's also a Tourist Information Point. Open Easter to November, however the Craftspeople are often at work, and their studios open at other times of the year. Please telephone for details.